This is a guide for the first part of the Shaving Lenny mission which is called Streets of Hope. This guide is for the purist difficulty and will show you how to get silent and signature kills on all the targets in the area, hide their bodies, recover the evidence and stay undetected. Following this guide you will earn 220,275 score for the Streets of Hope, that is after completing all the challenges for the Shaving Lenny mission. At the start go into the convenience store and go up to the second level to get a bottle which you will need a little later on. When you enter the convenience store, which you have to do a few times in this mission, you have to sneak in the area behind the counter, which is the only area you aren’t allowed to be in. You will have to stay close to the counter whilst sneaking, but you don’t have to move in cover. 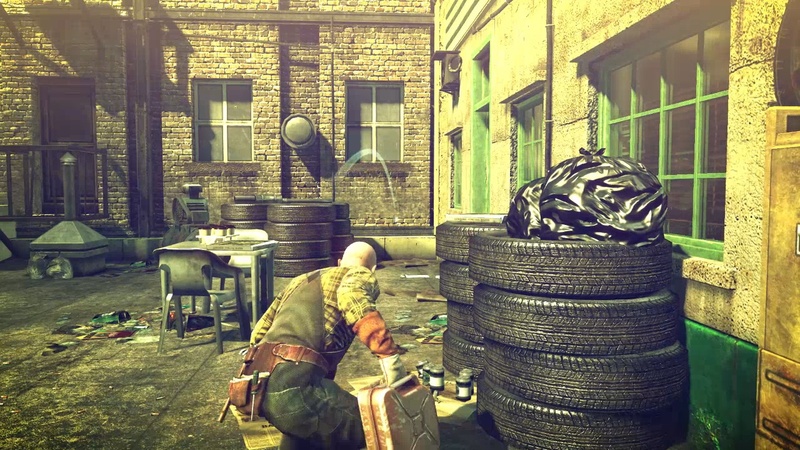 Once the police officer is distracted and has turned towards the tire rack sneak towards the section of wall to the right of the entrance to the second workshop and take cover on it. Wait for the mechanic in the workshop to have turned his back, then sneak past him and through the door on the left front corner of the second workshop. Go up the stairs and through the first door to the right and go onto the opposite side of the shelves in the middle. Pick up a gasoline can and take cover on the shelves. Wait for Landon to show up which will take quite some time. When you threw the bottle at the tire rack earlier sometimes the mechanic goes to investigate rather than the police officer. This occurs very rarely and if it does you will have to restart the mission. When Landon comes into the room he will start talking on his cell phone. Initially he will be looking at the shelves, but shortly after he will turn towards the door. Once he has select your fiber wire, sneak up on Landon and garrote him to get a silent and signature kill on Landon. You can drag his body to the cabinet that is on the back wall of the room and hide Landon’s body in it to get a little extra score. Wait for him to have turned his back, then sneak up on him and subdue him. Take his outfit. Be sure to hide his body in the wooden crate nearby to recover the score lost due to pacifying the mechanic. Also pick up the gasoline can or knife because you will need to use them again. Normally I would recommend to garrote enemies as it is faster, but mechanics count as civilians, and killing civilians causes a great loss of score which you can’t recover. Police officers don’t count as civilians so you can garrote them. Go back through the door you used to get onto the balcony and walk up to the table to recover the evidence. In the same room are stairs that lead to the ground floor of the mechanic. You don’t have to sneak in the upstairs area or the stairs, but when you are on the ground floor it is best to sneak as there are a few mechanics around the ground floor. At the bottom of the stairs go right and follow the wall until you get to a door. Go through it and follow the corridor to the back entrance to the mechanic. You don’t have to sneak in the corridor. but start sneaking again once you are outside. Once you get out of sight of the mechanic and police officer in the second workshop you can stop sneaking. 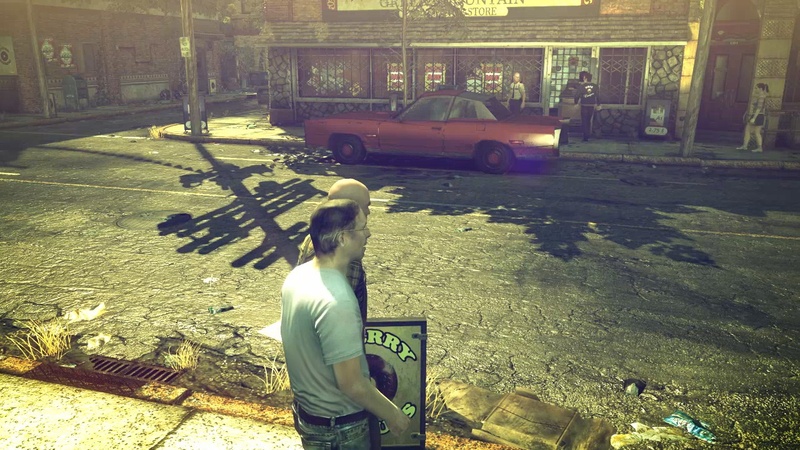 If you get too close to the convenience store you will trigger a conversation between Tyler and the shop keeper which will cause the timing required later to fail. Once Tyler has gone through the back doorway of the convenience store follow him into the convenience store. Again you will have to sneak in the area behind the counter. Go up the stairs and garrote Tyler as soon as you reach the second floor to get a silent and signature kill on Tyler. 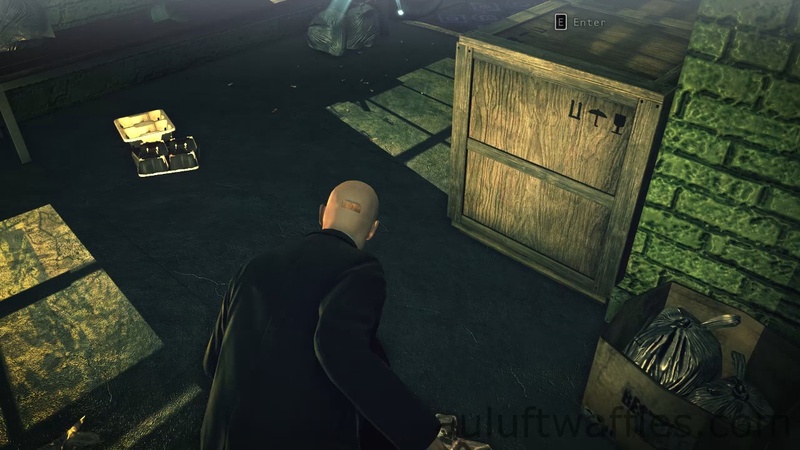 Drag his body to the cabinet in the second floor of the convenience store to get some extra score for hiding his body. Make your way back out of the convenience store remembering to sneak in the area behind the counter. The next part of the mission is the problem area should you have completed earlier parts of this mission in a different way or with different timing than in this guide. 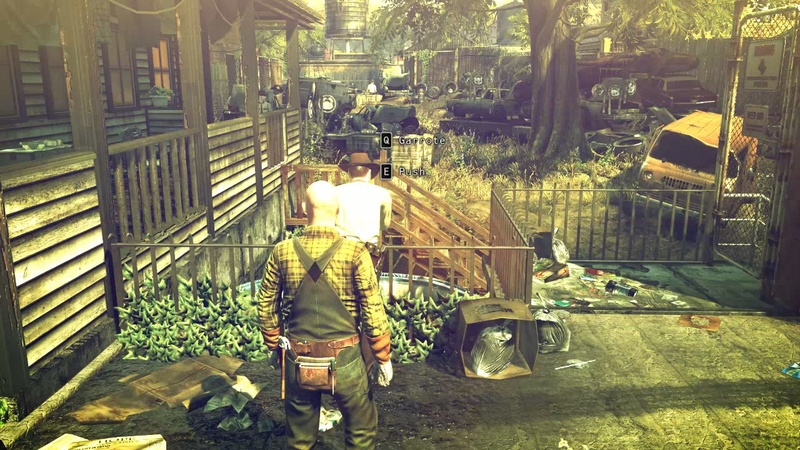 You will have to take out two police officers in order to be able to kill the last target, Gavin, with a silent and signature kill without being detected. With different timing there are four people you have to keep in mind. First is a civilian that walks up and down the main street and if he detects you he will alert the police officers. When he has walked past the house or is in the other section of the main street it is safe to do take out the two police officers. Then you can push the other police officer into the oil tank. Then you can go back all the way around to the passed out police officer and drag his body to the railing near the oil tank and dump the body into the oil tank. Now you have to wait for Gavin to show up which takes quite some time. Earlier I mentioned that if your timing was different you have to watch out for a few people to take out the police officers. The second person is a mechanic that sometimes stands near the oil tank and smokes a cigarette. The third person is the police officer standing on the other end of the front porch you had to wait for to push the second police officer into the oil tank. The last person is Gavin. You have to wait for him to have just gone away from the front porch. When Gavin shows up he will start smoking looking in the direction of the oil tank. You can just push him over the edge into the oil tank which will count as a silent and signature kill and you will also have hidden his body. Now all you have to do is get out of the area without being detected. Go through the backyard staying as far left as possible to avoid being seen by the mechanics working in the backyard. Once you have gone past the van you can walk in the middle of the walkway to the fence at the back of the backyard. When you get to the exit you have to wait for a police officer to walk past and the mechanic in the second workshop to have turned his back before you can pick the lock of the exit door. Once you have gone through the door it is the end of the Streets of Hope. 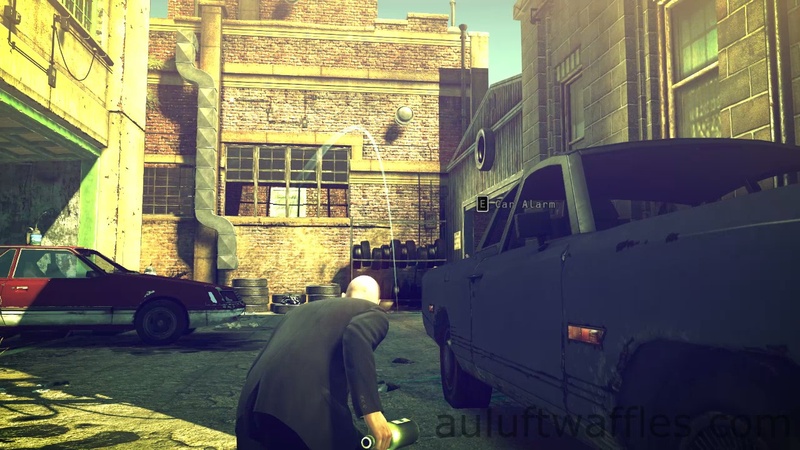 This entry was posted in Hitman Absolution Guide, Score Maximizing Mission Guide and tagged auluftwaffles, Games, gaming, Hide Body, High Score Guide, Hitman, Hitman Absolution, Hitman Absolution High Score Guide, hitman Absolution Purist Guide, Purist Guide, Remove Evidence, Shaving Lenny, Shaving Lenny High Score Guide, Shaving Lenny Purist Guide, Signature Kill, Silent Kill, Streets of Hope, Streets of Hope High Score Guide, Streets of Hope Purist Guide, Unseen, video game guides, Video Games. Bookmark the permalink.